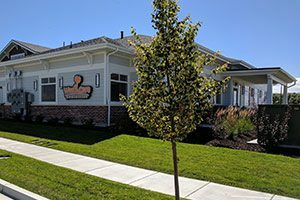 Wee Care Pediatrics is pleased to announce the opening of a new location in Kaysville, Utah. Our new office is located at 2025 W 200 N, Suite 2, and is open Monday through Friday from 9:00 am to 5:00 pm. We welcome you to our new office for routine check-ups, prenatal consultations, vaccinations, developmental screening, and other pediatric services. At Wee Care Pediatrics, we are committed to providing compassionate, comprehensive care for your children. From the first phone call to the last follow-up, we believe your experience with our Kaysville pediatric staff should feel like a relationship, not just an appointment. Copyright © Wee Care Pediatrics. All rights reserved.